92% of all actively managed stock mutual funds have failed to beat their benchmark over the last 15 years, according to S&P Dow Jones Indices. Stated another way, only 8% of thousands of fund products have been able to do what they were supposed to have been able to do. Can you imagine if 92% of the cars sold by auto companies couldn’t drive? Or if 92% of the pills sold by the pharmaceutical industry were placebos, or worse? What if 92% of the pizzas sold by Domino’s were just Ritz Crackers. How is this a thing that exists? For the ten years ending 12/2015, mutual fund investors, collectively, have received returns that were $545 billion below what the indices would have given them. And for that, they’ve paid $437 billion in fees. ‘The 10th man’ is a great ‘think outside the square’ website. As the title above states the following is a recent article on the long-term effect of negative interest rates. passing Warren Buffett. He’s worth about $76 billion. These two events are related. Amazon would seem to be an easy short. It doesn’t make any money. Don’t companies have to make money? You would think so. 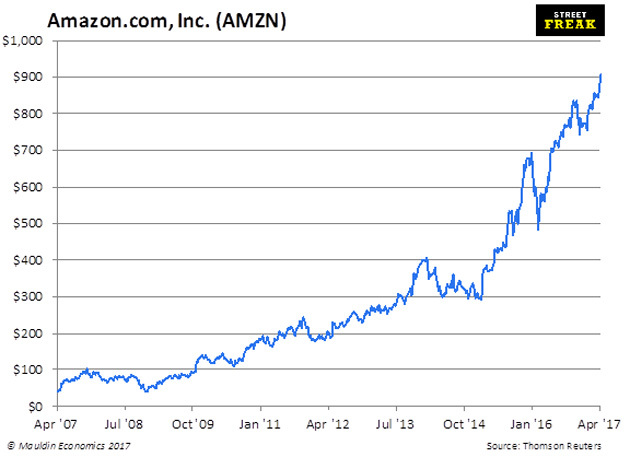 I attempted this trade, shorting Amazon, back in 2012–2013… unsuccessfully. I was adamant that companies had to make money. I was wrong—but I didn’t understand why. At least I managed not to get my head blown off. People also like to short Tesla, which also doesn’t make any money. It looks like it never will. Sure, Tesla is a bit of a cult stock: it’s hard not to root for a guy who builds actual spaceships and solar panels and runs three companies at the same time. But the Tesla shorts will also get carried out, for the same reason the Amazon shorts did. I’ll give you a hint: it has to do with interest rates. For both of these companies, the cost of capital is effectively zero. Would you be buying TSLA converts yielding 2.375% with a high strike if fed funds were 6%? If you have ever taken a finance class, anywhere, anytime, probably the first thing you learned is the time value of money. Future cash flows are worth less when they are discounted at a higher interest rate. Ergo, when interest rates are low, businesses with cash flows very far out into the future can survive. 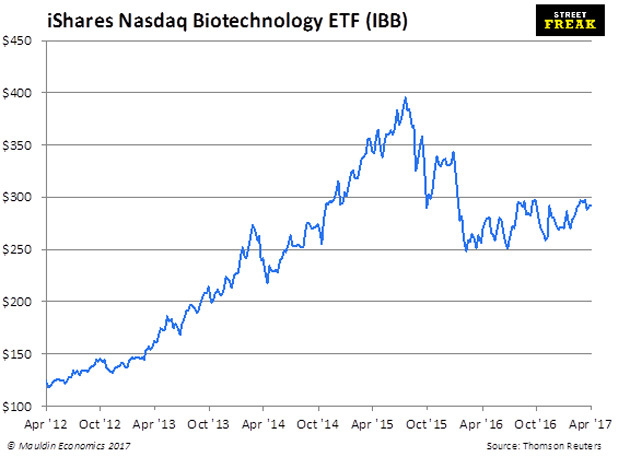 These days, biotech trades with politics, but for years, it was considered an ultra-long duration instrument—and was correlated with the bond market. Amazon, of course, has been around for a while, since the mid-‘90s. But it really took off when the Fed lowered interest rates to zero and began quantitative easing in 2008 (almost to the day). I can tell you one thing. If interest rates were at 6%, Amazon and Tesla would not be where they are today. The cost of capital would be higher, and there would be more compelling opportunities elsewhere, with lower risk. Tesla would still be a $30 stock. And it would be expensive. A lot of people have observed that long periods of time with negative real interest rates cause, well, bubbles. It is happening in Canada as we speak, with housing. Everyone knows that negative real interest rates cause economic distortions over time. But Amazon and Tesla are part of those distortions, too. And think about how harmful those distortions are—think of the capital that has been diverted away from traditional retailers to Amazon. An Amazon bull would say that this is justified: Bezos is a genius, and Amazon is the greatest company in the world. But even the greatest company in the world perhaps wouldn’t even exist unless it had a zero (or negative) cost of capital. 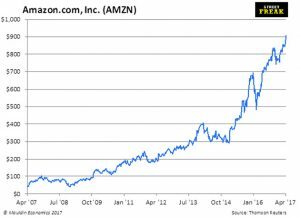 Would we be denied Amazon with “normal” interest rates? But here’s a broader, more philosophical question: Maybe this automation “problem” that we’re having, putting people out of work, wouldn’t even exist if it weren’t for the Fed. It all comes back to the Fed. Everyone likes to beat up on the Fed—that gets old after awhile—but I have difficulty understanding how people like Neel Kashkari can’t see these distortions that arise from long periods of time with negative real interest rates. Imagine a world without bubbles. It is actually possible. Just hike. We will still get our Amazons and Teslas. Great companies will still come into existence. But people will have less patience. Which, perhaps, is a good thing. But we continue to live in a world with very accommodative monetary policy. In this world, you can only trade TSLA and AMZN from the long side. You can wait forever for profits when interest rates are zero. Not when they’re 6%. The take out here is follow the price trend no matter what. Why have passive funds attracted so much money recently? It’s a very simple equation. One is that only 25% of active managers are good enough to outperform their benchmark. 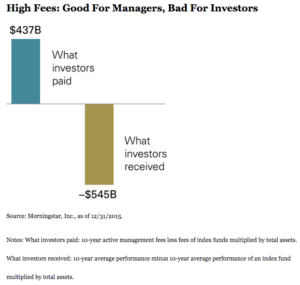 That’s good but it also means 75% of fund managers are charging fees far to high for the underperformance they are delivering and are thus losing funds under management. Then only 5% continue that performance of 3 years. That leaves a very small pocket of fund managers that provide a good service for fee arrangement for you. AFR journalist Philip Baker describes it as fund managers ‘dirty little secret’. Why people give poorly performing managers their money I have no idea. It must be something to do with crowd behaviour I think. For those investors however there is an apparent alternative. New markets have opened up such as the ETF market, which is a new low cost way of accessing the market and it’s growing at a phenomenal rate. This is the ‘passive’ alternative. But remember markets, and the passive approach of tracking an index, go down as well as up and you still pay your fees. Plus there is an inherent ‘domino’ bug lurking in the ETF market, which I have previously outlined in the Radar Newsletter issue #420 on the 14th October, which is still available on the site under the newsletter tab. 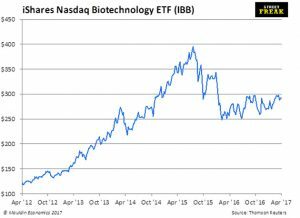 It relates to the fact that as more money is attracted by ETF funds they MUST buy the underlying stocks on a weighting basis regardless of whether a stock is performing well or not. Stocks bought can be pushed to unrealistic levels. But then consider ETF fund withdrawals; it will leverage the falls of these stocks perhaps unnecessarily so. So fund inflows and outflows are affecting stock movements regardless of their fundamentals. It’s the same old story dressed up in a different outfit as a market such as the ETF market is fine when the market is going up but alas investors also have short memories (repeat the cycle) because what’s going to happen when the market goes down and this is where the strategy flips on its backside. That’s when investors will grumble about performance but in fact it is their own fault. Time to wake up and stop being stooged. Fund investors are happy to win when the market goes up but not happy to accept the risks that go with that strategy. Markets don’t, and cannot, go one way all the time so why do investors have that expectation? It’s a mystery to me but the fact is investors are shirking the responsibility of managing their own money. So what is it investors want? Steady returns regardless of the market direction, this is index unaware, and the safety of your capital, which is an imperative objective. Sounds simple and very reasonable but it is very had to find. Back to Philip Baker’s ‘dirty little secret’. 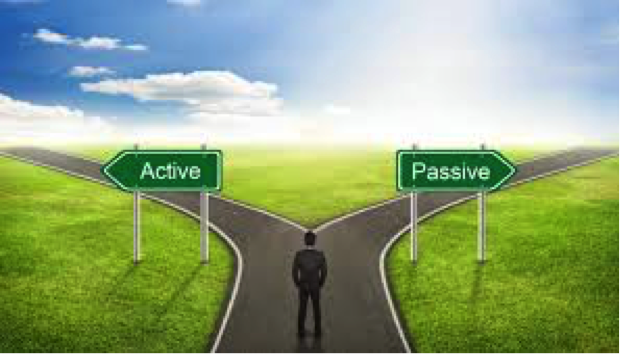 Just because active is out of favour it is still the best option because when the market turns all the ‘flavour of the month’ strategies go ‘pear shaped’ and then we grizzle. It’s of utmost importance that we know how to deal the down swings – and survive. That’s where the good active managers really earn their money, when the market is going down and they still outperform and more importantly preserve your capital by being mandated to have the ability to more into such assets as cash (safety). It’s all about coupling achievable returns with capital protection. A hard double act to achieve and only few do but there are managers out there that do it. As I have iterated before the low cost of trading shares and taking the responsibility of managing your own money is a great option these days with low cost trading platforms and a good independent partner such as Stockradar as a guide for you. Making money on the stock market is a common sense process. Too often we look too deep. Stockradar’s focus on risk management and absolute returns is simply a common sense strategy that is prepared for all eventualities, as we must. Up markets, down markets and sideways markets. Don’t forget the ‘double whammy’ of capital protection, through a strict risk management program, and stable absolute returns, from a quality stock picking strategy that ignores the weak and focuses on the strong, should be the objective of every stock market investor. Accept nothing less – why should you?